IN late 2018, the Recreational Fishing Alliance of NSW (RFA) put out a call out for recreational fishers of NSW to share their views on how the future of fish and fishing could be guaranteed in NSW. 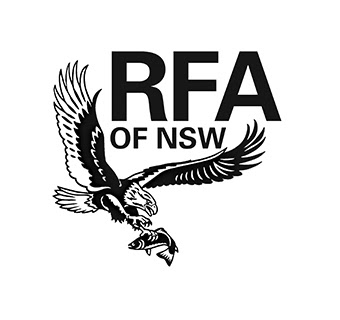 Using that input, the RFA then launched an 8-point plan called the "8 R’s" in the lead up to the NSW election on March 23, 2019. The plan was organised around 8 key platforms: Recognise, Review, Revitalise, Reform, Retain, Rehabilitate, Research and Resilience. It puts fish first and foremost, and outlines how recreational anglers intend to save and preserve the environment we fish in, retain and maintain fishing access, limit the threats to recreational and commercial fishing and guarantee the future of fishing in NSW. The RFA then contacted all the political parties listed in this document and asked if they supported or opposed the items in the 8 R’s table. During February and March 2019, the RFA held face-to-face meetings with leaders and/or chiefs-of-staff of Labor, Shooters Fishers and Farmers, Liberal Democrats and Pauline Hanson’s One Nation. We were unable to organise a face-to-face meeting with the Christian Democrats or the Liberal/National Coalition, but both responded by phone and email. Responses were recorded in the table format provided to the parties by the RFA, except for the Coalition response, which was in the form of a letter (attached at the end of this document). The RFA says that they hope you will consider the responses from each party and make an informed vote on ALL issues important to you. You can access the responses HERE.